Zero Tolerance knives are known for their amazing construction, and sophisticated form. 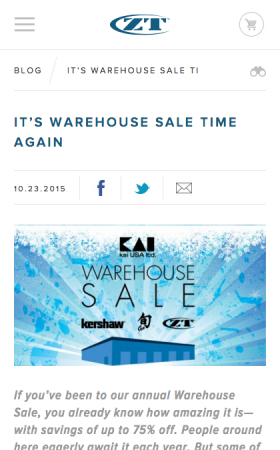 ZT Knives' new website matches the exquisite beauty of their products while driving sales. Throughout the extensive design process, we wanted to create a product that would deliver excellent conversion rates and leave a lasting impression on the consumer. Different breakpoints result in a unique experience that translates seamlessly from the desktop, to the tablet, to the mobile phone. The user can also sort and filter knives by various attributes to find the perfect knife for their need. 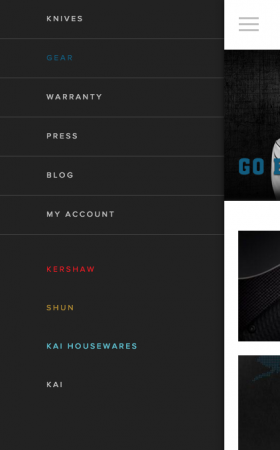 A shared shopping cart between Kai's other brands (Kershaw, Shun, and Housewares) creates a dynamic and robust shopping experience. 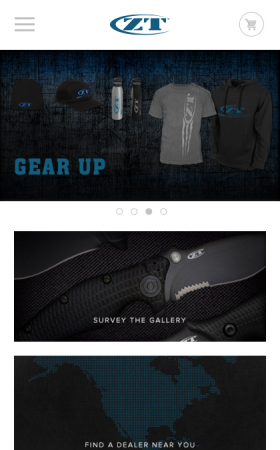 The Zero Tolerance website aesthetic needed to match the intensity of the product. Hard-use professional-grade knives, ZT has a strong brand following amongst law enforcement, military, and other first-responders. After completing robust user profiles, we landed on a darker aesthetic than some of the other Kai brands. 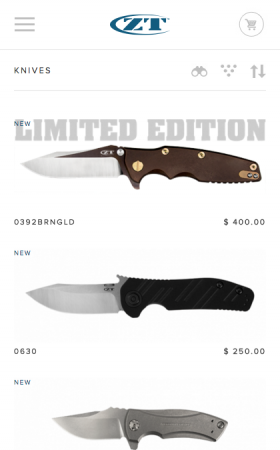 In addition to the new cohesive design, the responsive site features a robust knife gallery that allows the user to find the perfect knife by use, blade length, special features, and other attributes. An artisan product deserves a one-of-a-kind website. We crafted an online experience that elevates the brand and creates loyal customers. Like what we did for ZT Knives?